Basking in the Mediterranean Sun and winds, the Dalmatian city of Šibenik graces a spot where nature and history come together in one spectacular show of beauty. From its establishment as the first town of Croats, to the hopeful years following the Homeland War, you will find Šibenik poised graciously where the river Krka meets the Adriatic Sea in a mesmerizing series of cascading waterfalls and open bays. 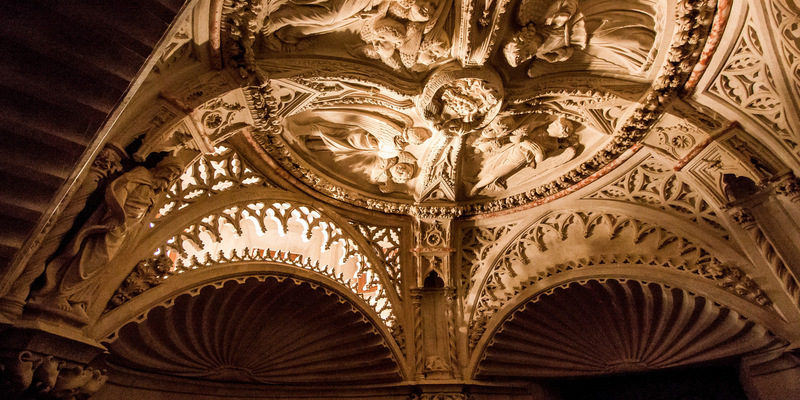 As the hauntingly beautiful sounds of a capella singing guide you through a maze of Renaissance streets to the crown jewel of sacral architecture in Dalmatia, the stunning St. James Cathedral, immerse in the shimmering glow of Šibenik nowadays. 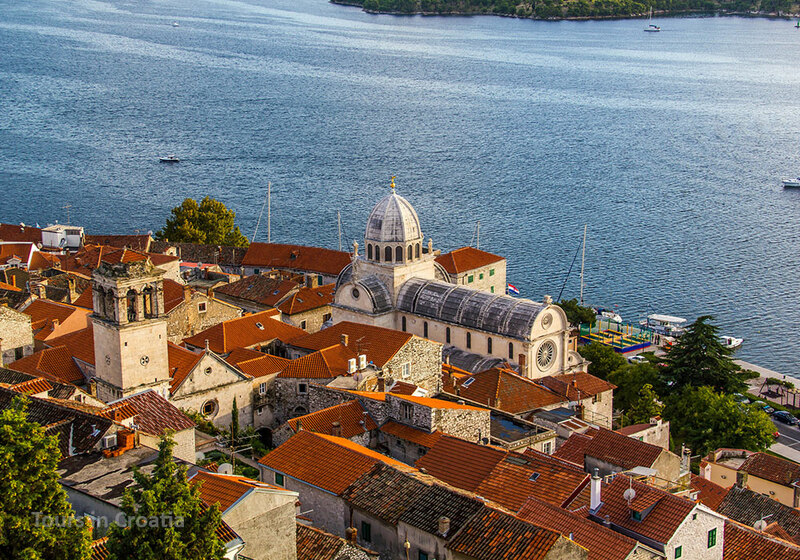 Yes, Šibenik has a feel of a great historic city, and a very friendly personality to match! Ideally located between Zadar and Split, Šibenik can be anything you want it to be: an interesting day trip, a relaxing city break or an entertaining stop as you make your way along the coast. 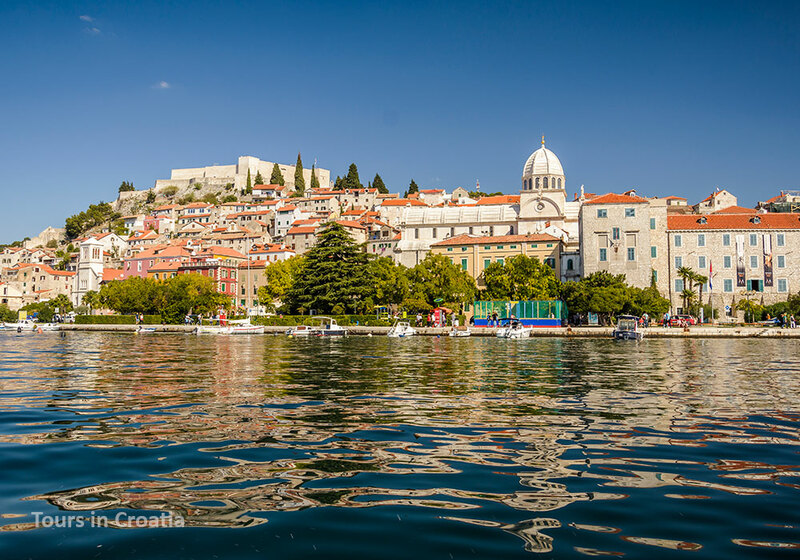 What gives Šibenik an edge is that it had been established by the Croat tribes in the 7th century, making it the oldest natively Croatian town on the coast. Later greatly influenced by Venice, Šibenik thrived in the Renaissance period, which echoes still today in the narrow alleyways of its city center, graced by one of Croatia’s UNESCO-listed treasures – the Cathedral of St. James. 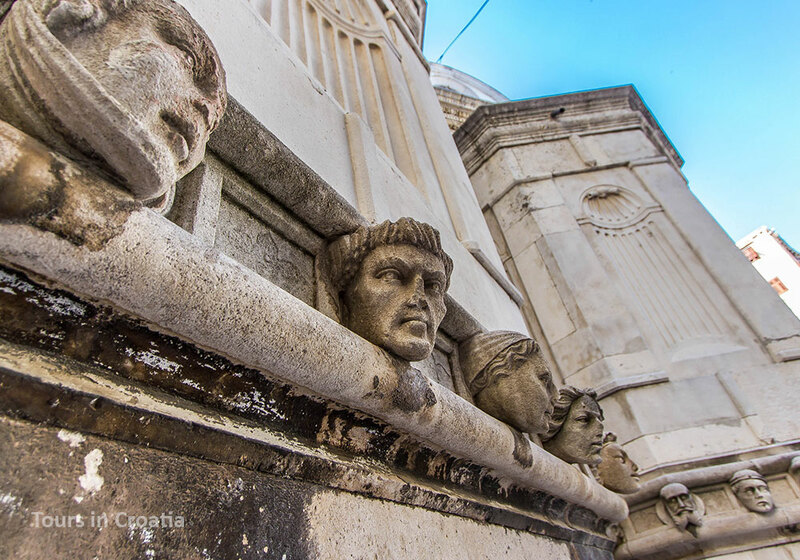 The facade of the church has a unique display of faces portraying 72 Šibenik citizens of everyday status, sculpted in stone. 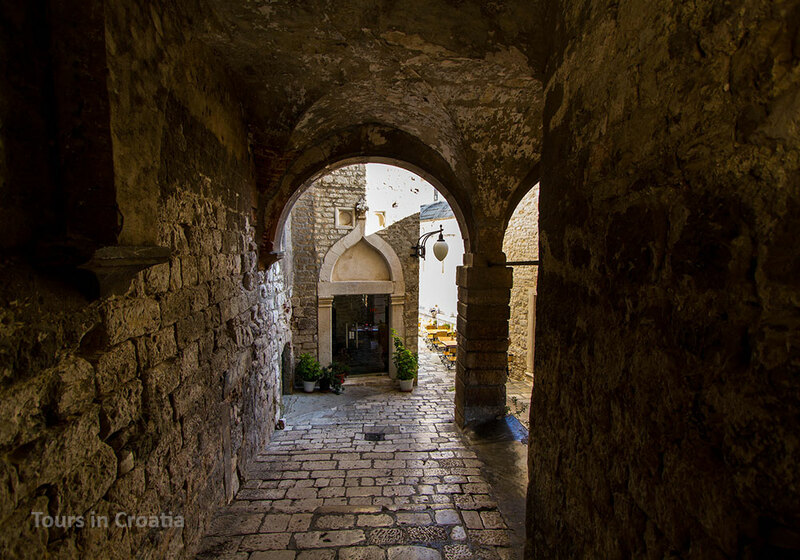 Surrounding the cathedral, the preserved Renaissance Old Town core of Šibenik is a place for wandering and soaking up the relaxed ambiance of the seaside maze. Greatly struck during the Croatian Homeland war, Šibenik is today a bit like a phoenix triumphantly rising from the ashes, in part thanks to its role of Braavos in the mega-popular Game of Thrones. The city itself is also a place to indulge in some Dalmatian decadence at Pelegrini restaurant, repeatedly rated Croatia's best restaurant, where chef Rudi Štefan creates magic in his 700-years-old palace, today a kitchen and restaurant. Join him for a 'behind closed doors' gourmet cooking class, which will be enhanced with his selection of Croatia's best wines. The gourmet aromas of Šibenik will take you even beyond the city center. During his visit to the Croatian coast, Anthony Bourdain praised the 12-hour-slow-simmered veal risotto of Skradin, the lovely town some twenty minutes from Šibenik and the shiny jewel of the spectacular Krka National Park. The other jewel, the Bibich winery, showcases some of the region’s best wines, but also a signature gourmet experience - an elaborate wine-paired dinner. 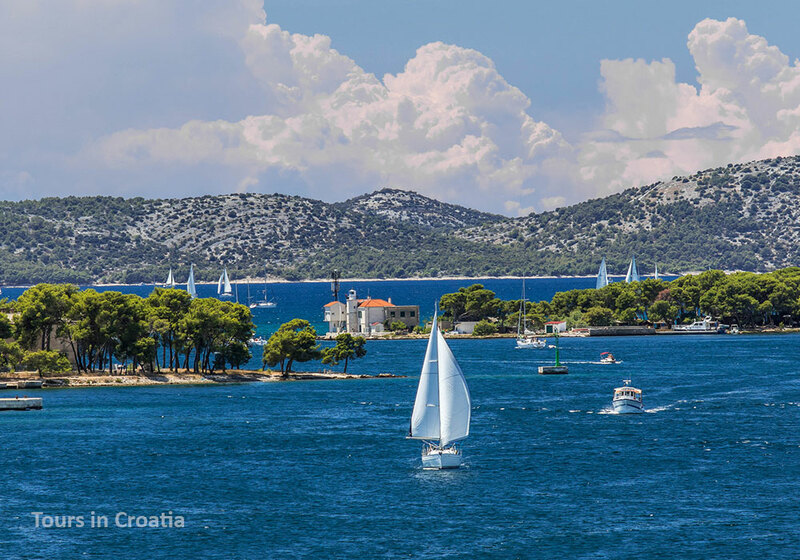 A great starting line for exploring the National Park Kornati and a super port for many cruises around the Adriatic islands, Šibenik is definitely a place to consider if you are planning to explore the central Dalmatian region. Four forts surround Šibenik, the most remarkable positioned facing the sea. Named after the patron saint of sailors, the triangular St. Nicholas fort sits on the small island of Ljuljevac, covering it almost completely. Dating to the first half of the 16th century, its construction was a response to the Turkish expansion in the region. Envisioned as the guardian of St. Anthony’s channel, leading directly into the harbor of Šibenik, the fort was often complimented for its aesthetics but criticized for the lack of functionality. This ultimately led to the abandonment of its original purpose before the turn of the century.